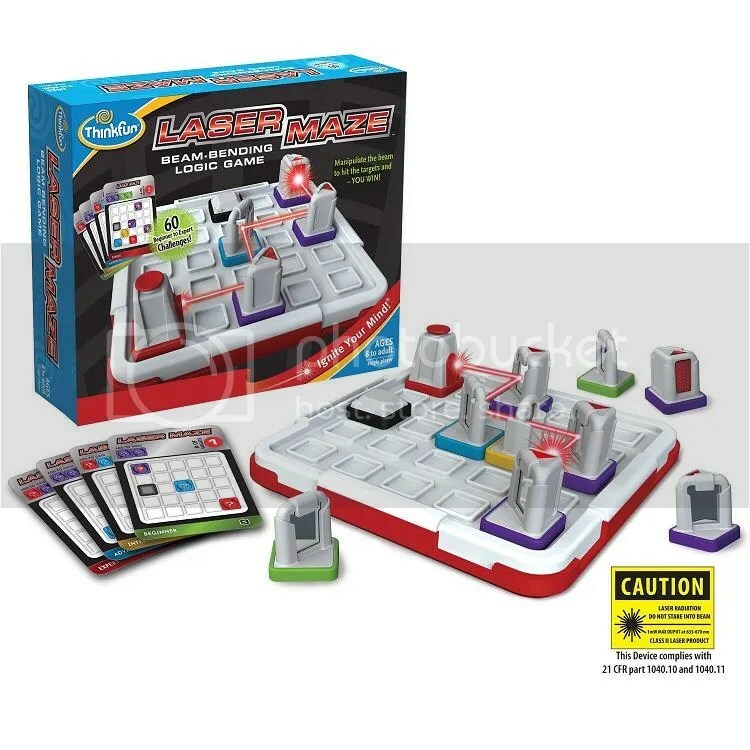 Here at the PuzzleNation blog, we love spreading the word about great new puzzle-solving experiences of all sorts, so when the creative folks at ThinkFun passed along a free copy of their latest puzzle game, Laser Maze, we were all for testing it out. And I’m pleased to say that Laser Maze is a terrific puzzle game. The concept is deceptively simple. 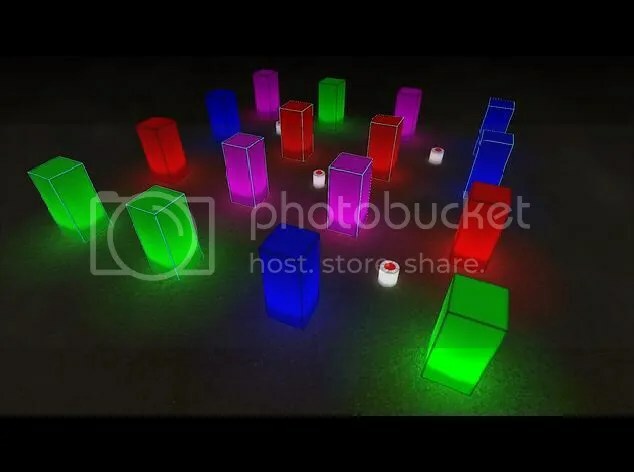 All you have to do is set up the mirrors, gateways, and other game pieces and light up your targets with the laser. Some pieces allow you to bounce the beam at a right angle, others allow you to split the beam in two, and still others can double as both reflecting mirrors and light up targets. An impressive amount of adaptability is packed into 11 game pieces. There are 60 challenge cards that range in difficulty from beginner to expert. In the earliest challenges, there are only a few pieces on the game board, and you’re given both their location and the direction each piece faces, and it’s up to you to complete the laser’s path by adding only the pieces listed on the card. In later challenges, you get less information. You might know a piece’s location on the board, but you don’t know which direction it should face. The number of targets to light up with the laser increases, and the solutions become more complex. 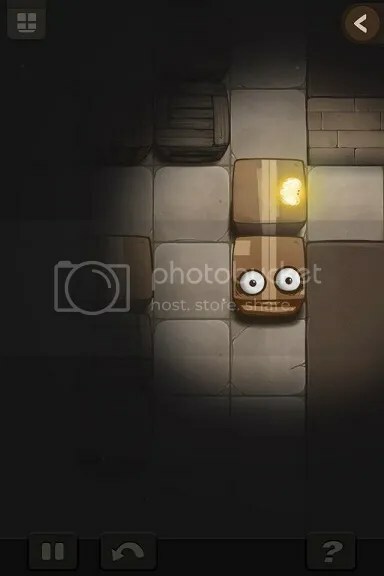 But the genius of Laser Maze is that the beginner and intermediate puzzles teach you the fundamentals necessary to tackle the harder puzzles to come. Like the best puzzle games, Laser Maze allows you to learn by doing, building your skills, your deductive reasoning, and your bag of game-piece-centric tricks as you become more proficient at using the mirrors and beam-splitters to direct the laser precisely where you need it. 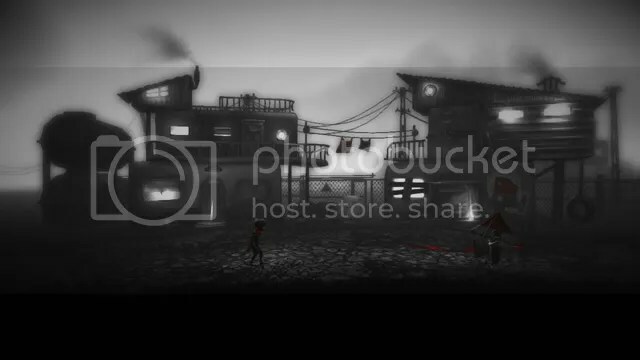 Plus, the gameplay itself is intuitive. With just a brief skim of the instructions and a minute to familiarize myself with the symbols key for the puzzles, I was in. 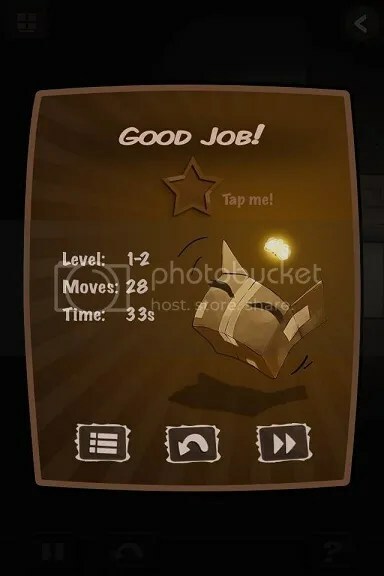 I played through a number of beginner, intermediate, advanced, and expert puzzles. As a pretty puzzle-savvy guy, I expected to breeze through the early challenges, but a few of the intermediate puzzles made me pause and restrategize. 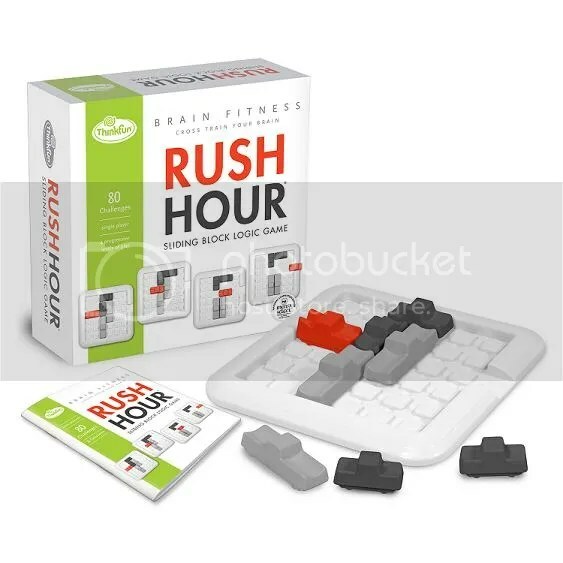 By the time my confidence grew and I was sure none of the intermediate puzzles would stymie me, I still didn’t WANT to move on to the next level. I was having too much fun. I progressed through the advanced challenges and into the expert puzzles, and then went back to the intermediate puzzles to test the game’s replay value. And that’s when I discovered another facet of Laser Maze. 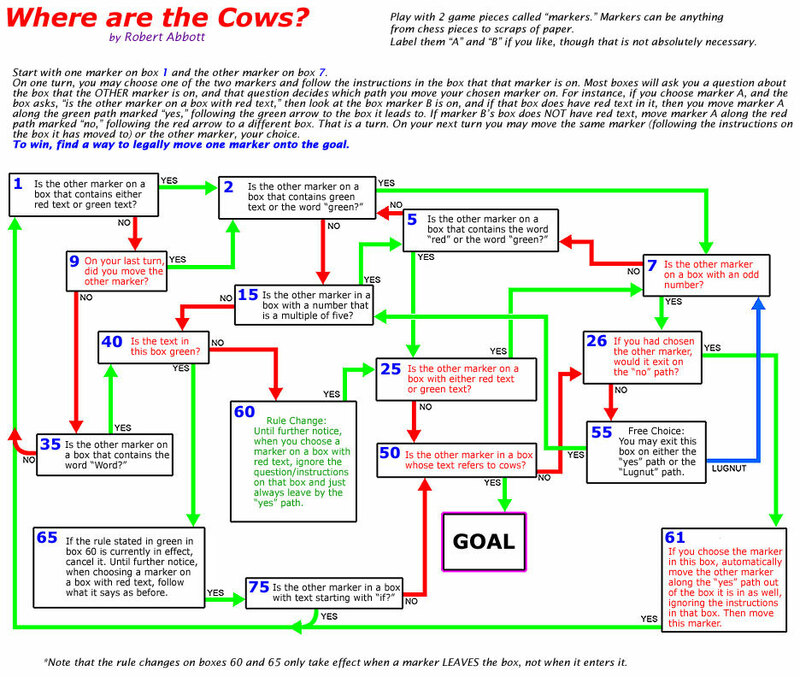 Once you’ve solved a given puzzle, you clear the board and prepare for the next one. By design, you start with a clean slate. But you’re also forced to completely ignore any preconceived notions you have about the puzzle to come, because each one has its own challenges. As I played through puzzles I knew I’d played before, they still FELT like fresh challenges, because of the sheer adaptability of the game pieces. This wasn’t going to end up a one-time playing experience. 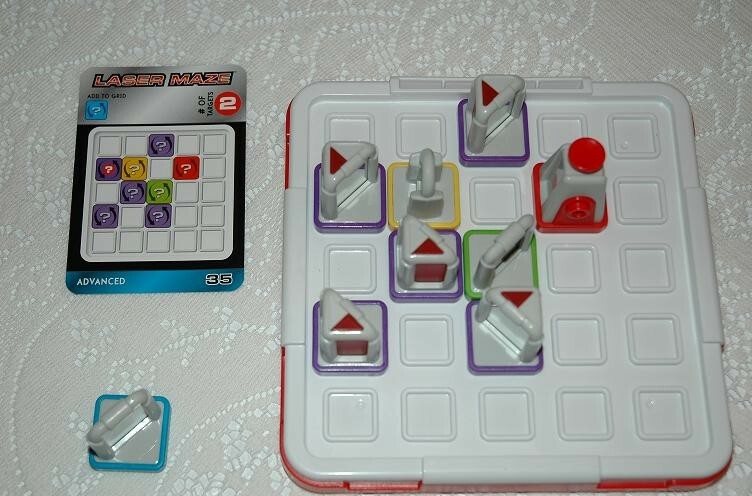 You’ll no doubt note similarities between Laser Maze and the popular game Khet, which also features a laser. That’s to be expected, since they were both invented by devious puzzlesmith Luke Hooper. But while Khet is a strategy game to played against an opponent, Laser Maze pits a single player against the game itself. It’s a learning experience disguised as an incredibly fun game. Plus, every time I’ve played, I’ve attracted family and friends as onlookers and collaborators. It might be designed for one player, but it’s hardly a solitary endeavor. 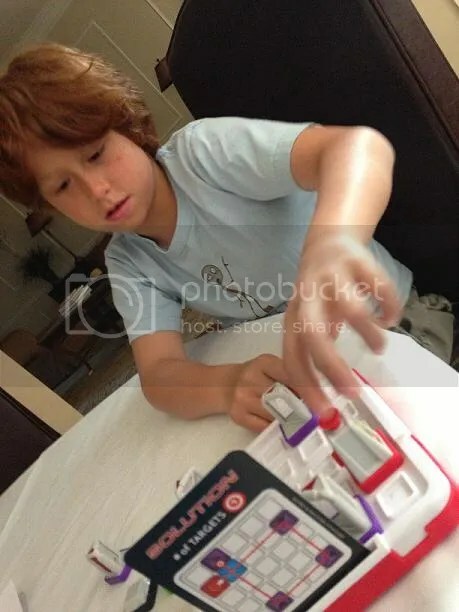 Fellow PuzzleNationer Fred took the game home and unleashed his kids on the game, and as you can see, he had ample time to snap a pic of his very focused son Max, ready to activate the laser and solve his latest challenge. All in all, Laser Maze is both great fun and an engaging puzzle-solving experience. 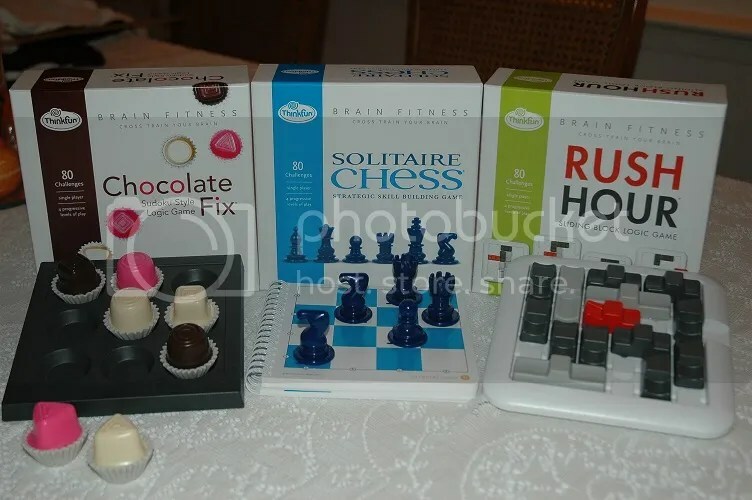 ThinkFun really knocked it out of the park with this one. Puzzled what to get someone for Christmas? The holiday season is upon us, and with Black Friday and Cyber Monday already making way for Thoroughly-Frustrated Shopper Thursday, I’d be remiss if I didn’t offer up some puzzly suggestions for holiday gifts. As you might expect, I come from a puzzly family. 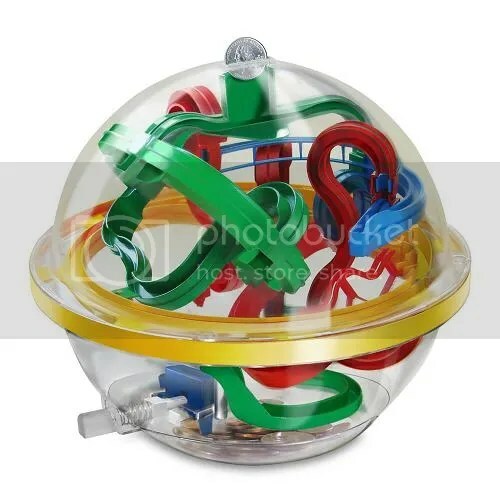 So Christmas has always featured brain-teasing toys, 3-D puzzles, and whatever else parents and other relatives could find to keep us busy and baffled. My younger sister has passed this tradition on to the next generation with puzzle boxes for my nephews, ensuring that any holiday money is well earned by mid-afternoon. 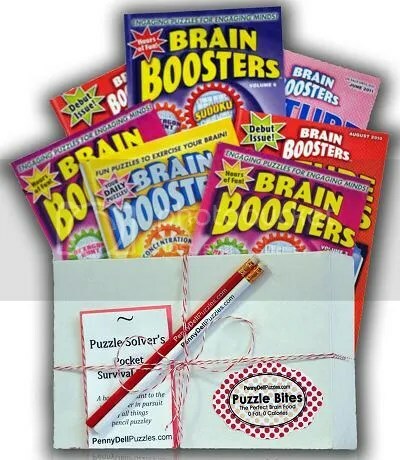 Here are a few ideas for the puzzle lovers in your life. For any Rubik’s Cube masters in your household, Eric suggests a marvelous variation with The Brain Cube. Instead of matching colors, you’re matching the geography of the brain, ensuring that each fold and wrinkle lines up with its neighbors. 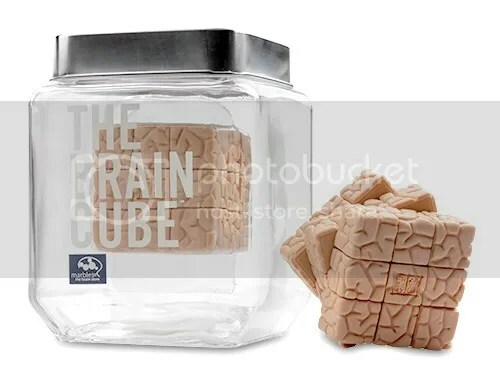 This is a real brain-teaser, available at Marbles — The Brain Store. The folks at Hammacher Schlemmer offer all sorts of gadgetry and products, and two of them caught my eye as I perused their catalog for gift ideas. The first was the maze bank pictured above, The Labyrinthine Piggy Bank. Any coins that fall off the track are safe and secure, but only someone with the patience and dexterity to navigate the ten feet of track within will be able to gain access! The second piqued my interest as a lover of words and wordplay. It’s The Lexicographer’s Extended Scrabble game, a 21×21 grid with more tiles and squares than the original, allowing for more flexibility and more elaborate words. Perfect for the verbivore Scrabble enthusiast in your life. If you’re looking for pen-and-paper puzzle goodness, our pals at PennyPress and Dell Magazines offer perfect stocking stuffers, as well as digest-sized and full-sized puzzle books. 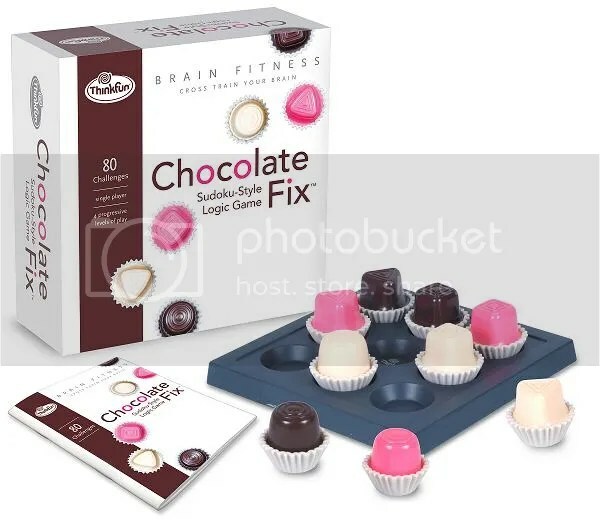 Whether it’s logic, crosswords, word seeks, fill-ins, sudoku, variety puzzles, or the Brain Boosters shown above, they’ve got you covered. 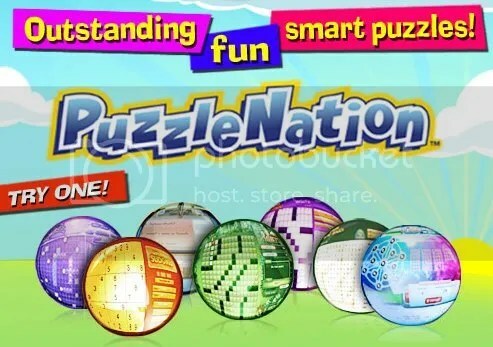 And, of course, you can’t go wrong with a one-year PuzzleNation gift subscription! 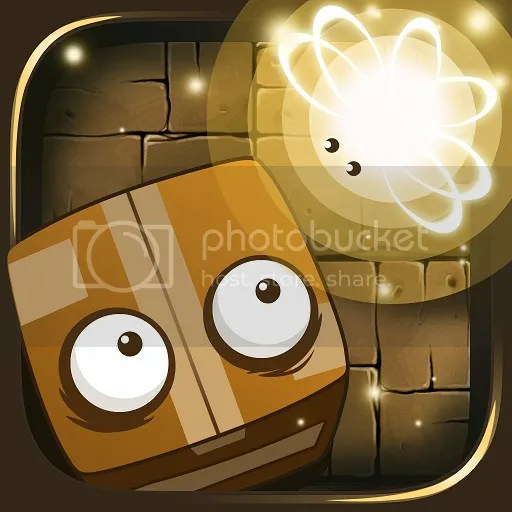 With access to ten different puzzle games, as well as score tracking and two-player mode to solve with friends, hours of puzzle-solving fun await. This is just a small sampling of the puzzle-wonderful delights available this holiday season, but hopefully these suggestions will help you trim down your shopping list this year. So good luck, keep calm, puzzle on, and I’ll catch you next time.